As the weather starts cooling off and transition from Summer to Fall, there is no shortage of things to do in Chicago. 12 Museums across the city and Lincoln Park Zoo have pulled their resources together to host the 1st Museum Week across the city October 1-7 with different activities, discounts and special programs throughout the week. 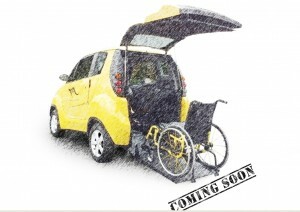 Click the link below to see some of the fun things in store. Adler Planetarium – Free admission for Illinois residents Oct. 5-7, as well as $10 off new memberships. Go to the “Space Oddities” discussion or catch “The Pluto Encounter” sky show. Art Institute of Chicago – Free entry for Illinois residents Oct. 1 after 5 p.m. and $10 off new memberships. Take advantage of daily tours and art-making events for families. Chicago History Museum – $4 off admission, 20% off purchases at the museum store and cafe, and 20% off memberships. Also check out their after-hours event on Oct. 6. DuSable Museum of African American History – 2-for-1 admission, 10% off store, and half off memberships. There will be special guided tours and gift basket giveaways. Field Museum – Free admission for Illinois residents Oct. 4. Also offering daily highlight tours and SUE talks. Or go behind the scenes and meet the museum’s Discovery Squad on Oct. 2. Lincoln Park Zoo – The zoo’s Fall Fest will feature a corn maze, pumpkin patch, 60-foot slide and live entertainment. Admission is free but rides and activities cost ($3 for 1, $27 for 10, $51 for 20). Pumpkins are on sale throughout October. 10% off memberships during Museum Week. Museum of Contemporary Art – Free admission for Illinois residents Oct. 6. MCA is also hosting two evening events and a special pop-up store. Museum of Science & Industry – Free entry for Illinois residents Oct. 5-6, plus $20 off memberships. Check out the new robot exhibit or learn about the science behind nature’s most powerful storms. National Museum of Mexican Art – 15% discount at museum shop and enter raffle to win a family membership. See the largest Día de los Muertos (Day of the Dead) exhibit in the country. Guided tours in Spanish and English. National Museum of Puerto Rican Arts & Culture – Offering free admission all week. Check out the exhibit featuring paintings by Puerto Rican Chicago-based artist Oscar Luis Martinez. Peggy Notebaert Nature Museum – Free admission for Illinois residents Oct. 1, 10% off gift shop, and membership discounts (plus a chance to win a lifetime membership). There are two new exhibits opening during Museum Week – “City Creatures” and “Peanuts…Naturally.” For families, the Harvest Festival and Harvest Hop 5K on Oct. 4 makes for a great fall outing. Adults should try the after-hours event Oct. 6. Shedd Aquarium – Discounts for Illinois residents Oct. 5-6, plus deals and programming for those who become a member. Check out the “Amphibians” special exhibit or attend an Animal Chat. CTA Transit Information – Find information about how t get to the various museums around the City via the CTA Systems. El Trains (Elevated Trains) which are running overhead and underground as a Subway in certain parts of the City. Hopefully, everyone had a great New Year’s Eve and New Year’s Day celebration and are excited about 2014! 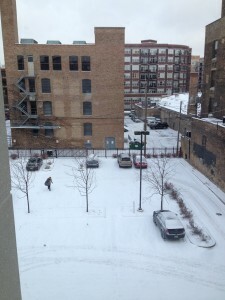 In the Chicago area, we have had the biggest accumulation of snow for the season so far putting down at least 8 inches of snow on the ground and we are expected to have snow all day today. 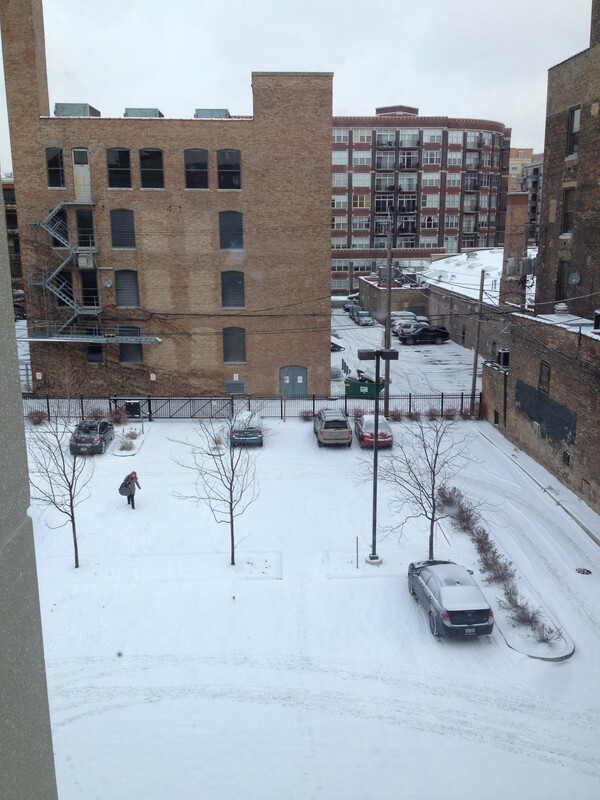 This is a great time to remind folks and new comers to the Chicago land area of the Winter Parking Ban that’s in effect when 2 or more inches of snow is on the ground. This parking ban is around most neighborhoods within the City of Chicago limits to allow the city crews access to major streets and to be able to clear the snow from the streets in a timely manner. We recommend that you find a paid parking lot to park your vehicle in the City in order to avoid these fines and fees and consider taking public transit which might also save you some aggravation on the roads. Chicago is a major city with a great transportation infrastructure. 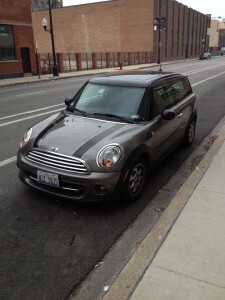 Most of the folks who relocate to Chicago in living in some of the more popular downtown neighborhoods like the West Loop, South Loop, River East, River North, LakeView or Lincoln Park usually abandon their cars after the first year because there is ample and affordable public transportation across the City. Even folks who live in other neighborhood will opt for the public transit system and let their car (if they own one) sit on the street or garage. 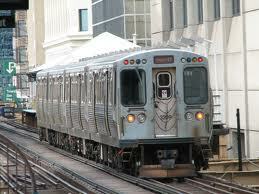 Unlike many other urban cities, the public transit system in Chicago is only $2.25 per ride regardless of distance. There are a lot of FREE transfer stations across the city to move between EL Train lines (Elevated Trains / Subway) or sometimes between a bus and a rail line. If a transfer fee is charged, it’s typically 25 cents for the transfer (up to two transfers within a two hour period). Visitors to Chicago can also opt for the 1 day, 3 day or 7 day unlimited rides visitor’s passes that you can purchase at kiosks located at Chicago O’Hare and Midway International Airports, or at the visitor’s centers at the Chicago Cultural Center or Water Tower locations. Reduced fares are offered to students and qualified persons. Local Chicago’s who rely solely on the public transit system also receive discounts for unlimited rides at only $100 per month. The Public Transit System is called the CTA (Chicago Transit Authority) and PACE for the suburban public systems which all operate on the same fare system and utilize the same fare cards. Commuter Trains are part of the METRA system and they operate on different fees and fare card system, but we’ll talk more about METRA and other affordable transportation options in another blog post. 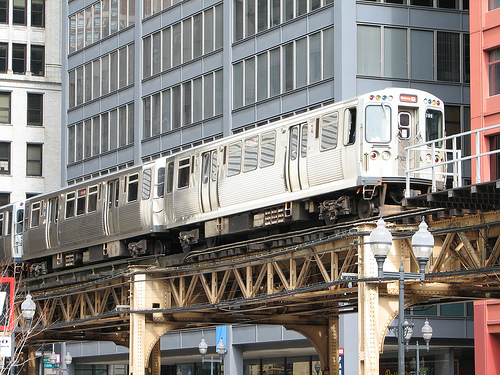 The public transit system is a great way to move around town whether you are a local, transplant or a visitor to Chicago. Their schedules are available via phone, text message, Google Maps or one of the applications on your smartphone that support transit directions. 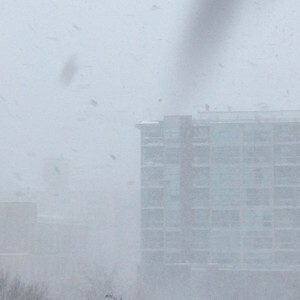 Chicago is often referred to as the capital of the Midwest. Many people from other Midwestern cities and neighboring states choose to have a residence or business presence here. Some of the giants in the area now including United Airlines, Google, Motorola, Groupon all have major technology headquarters around Chicago. Google just signed a lease in the a building in the West Loop Fulton Market District where an El station was just opened within the past two years. New restaurants and galleries are opening next to what used to be a cold storage building and it’s convenient to existing West Loop Restaurant Row along Randolph Street. 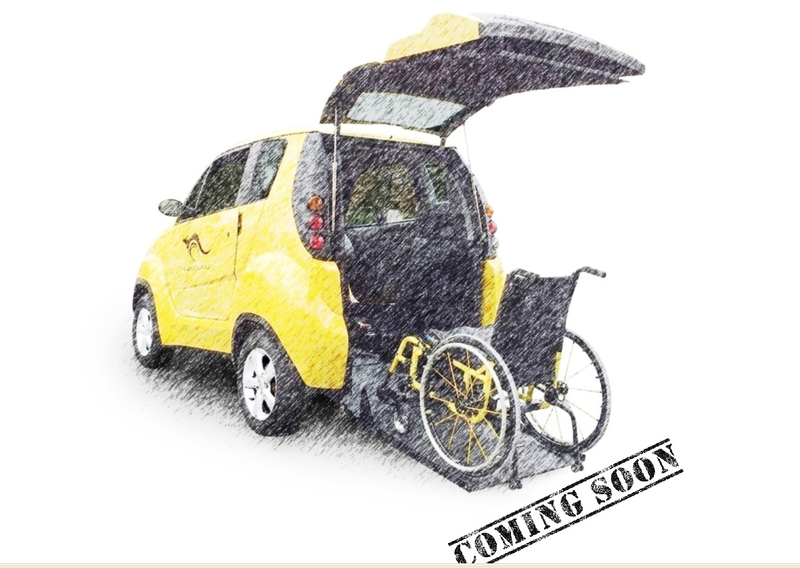 They are in the process of designing their new space and expected to occupy the new space in 2015. United Airlines has a technology and operations center located in the Willis Tower (formerly Sear’s Tower) which also houses several small technology start up firms. 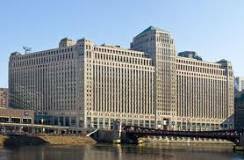 Groupon starting their business model here in Chicago and have made River West their headquarters in a technology building that was formerly the Montgomery Wards Catalog Distribution Building. 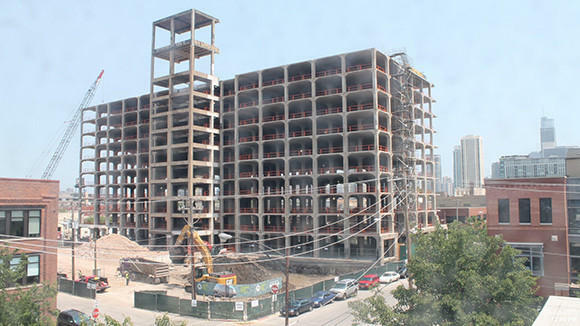 This building was converted into mixed use space with high end technology amenities and condos. Several technology start up firms share space in 1871 which is a technology incubator space housed in the Merchandise Mart Building. This historic building was once owned by the Kennedy Family and was exhibit space and show rooms for various house and decorating shows. There are many more example to be found all over town, but with two major international airports which provides flights to every state in the nation within 2-4 hours, the ample and convenient public transportation options and plenty of housing stock and fun neighborhoods to choose from, Chicago is a great place to live, work and setup your technology business. 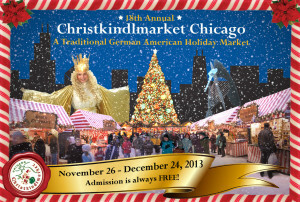 One of the most cool things around the holidays in Chicago is the Christkindl Market downtown. It’s located at the Daley Plaza in front of the court house where during the summer months, they have various cultural festivals and fresh farmer’s market weekly. 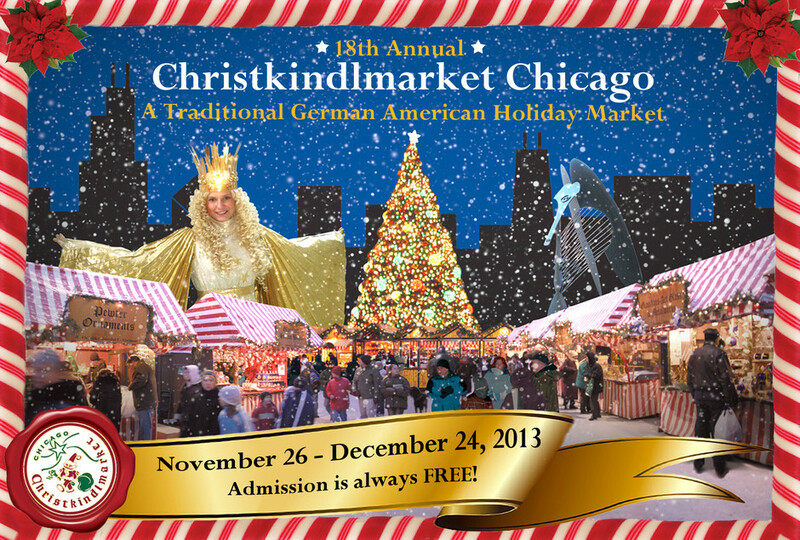 Christkindl Market is a Santa’s Village of sorts replicating the Christkindl Markets in Germany, but on a small scale and more local to Chicago. It was started by the Germany immigrants into the City and has been a yearly tradition for me to stop there. I used to visit more often when my office was located in the central loop across for it’s location so it was easy to go across the street for lunch to get a quick German bratwurst or schnitzel fix, to grab some hot apple cider or to meet friends for a beer, pretzels an/or potato pancakes after work. Besides the food and drinks, it’s a nice place to shop for lots of holiday gifts from vendors and artisans and there are ample selection of Christmas Ornaments or Germany Chocolates to give out for business associates and clients during the holidays. If you have little ones (or for the kid in you), You can visit Santa’s House and get a phone with Santa. There are many options to get to Daley Plaza where the Chriskindl Market is located: You can take public transit and there is an El Station underneath Daley Plaza for both the Blue and Red Lines. The #20 Madison Bus goes right by Daley Plaza and it’s only a short 2 block walk from Michigan Avenue. A taxi is always nearby and there are plenty of parking lots in the surrounding blocks, but be prepared to pay hefty during peak hours for the parking downtown. There are a few metered spots in the blocks around the area if you are willing to wait and not planning on staying for more than an hours or two, otherwise, the paid parking is usually a better option both financially and for flexibility on time. It’s open daily from November 26th through December 23rd! I hope you will make it a yearly tradition like I have in Chicago. 1) Outdoor ice skating in Millennium Park at Michigan and Washington Streets. 2) Visit Cloud Gate at Millennium Park. 3) Shopping along Michigan Avenue’s Mag Mile. 4) View the annual holiday Window Displays at Macy’s — it’s only a block away on State Street and there is usually a cute story to be told.